The TERATEC Campus will house research laboratories both public and private and comprise major players in high performance simulation and computing who will use these powerful tools to remain state-of-the-art and at the cutting edge of world research and thus further enhance the competitiveness of research and industry in very numerous fields of activity..
Technology Companies : Large companies and small businesses, systems suppliers, software providers and service companies are all present on the Teratec Campus, where they perform technical, commercial and research activities related to HPC. The industrial expertise present there covers the entire value chain, from components and systems up to software and services. 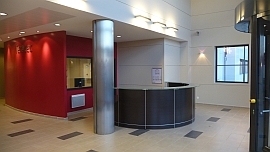 The Essonne Chamber of Commerce and Industry accommodates SMEs and innovative companies, offering adapted solutions, custom-tailored support and high-quality service to best support their growth in a technology-rich environment favorable to the development of their simulation and modeling activities. 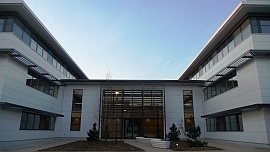 Intel Big Data Labs - European laboratory dedicated to developing Big Data solutions. Service platforms provide industry stakeholders – especially small businesses– with the computing resources, software and technical expertise they need to carry out their projects, thus allowing them to develop new products or services more quickly and easily. 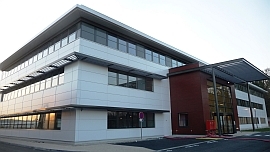 Through partnerships with universities, engineering schools and industrial firms, the Teratec Campus will provide training and education and give students, engineers and researchers access to the skills and expertise available on the site. 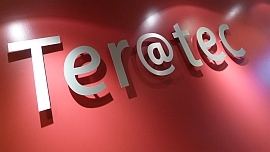 The objective of the TERATEC Technopole is to provide professionals in the field of Numerical Simulation and High Performance Computing a dynamic and user-friendly environment which will become a true crossroads and hub of innovation and facilitate exchanges and cross-fertilization of ideas.